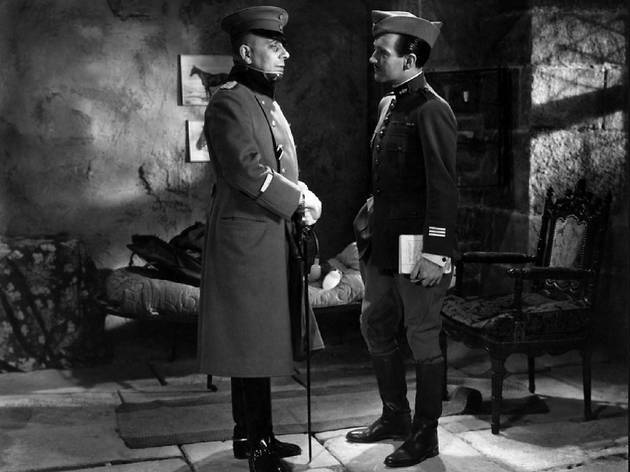 Restored and as relevant as ever, Jean Renoir’s 1937 masterpiece, ‘La Grande Illusion’, is a film about common values and decency – the ability in all of us to act with respect and warmth towards those with whom we share bonds stronger and deeper than national boundaries and political divisions. If all that sounds cosy – which, partly, it is, especially when bolstered by Renoir’s compassionate storytelling, gentle camerawork and the humour of his actors’ performances – it’s also a warning. Renoir’s film is as much about the rigidity of class and enduring social splits as it is about clubbing together in a crisis. It’s only when the credits roll on this gentle tale that its more pessimistic ideas begin to chill its warm glow. ‘La Grande Illusion’ is an anti-war film, too, of course, made on the eve of one conflict and looking back at another. It concerns three French officers held as prisoners during World War I by the Germans: aristocratic De Boeldieu (Pierre Fresnay), working-class Maréchal (Jean Gabin) and wealthy Jew Rosenthal (Marcel Dalio). The shared purpose of the French is to the fore (one of the film’s many illusions: we can’t be sure such unity would persist in peace). 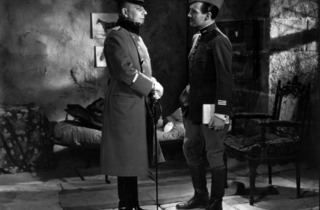 But most eye-catching is the politeness displayed by aristocratic Von Rauffenstein (Erich von Stroheim) towards his noble prisoner, De Boeldieu – a portrait of a dying breed sketched with the same empathy, even sorrow, displayed by Powell and Pressburger in ‘The Life and Death of Colonel Blimp’ six years later. Such sharply political films are rarely so entertaining, natural and humane.